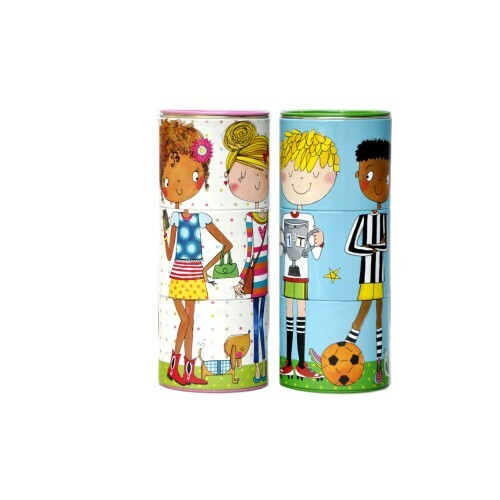 These fun money boxes feature 3 sections that swivel so the the heads, bodies and legs can be interchanged. 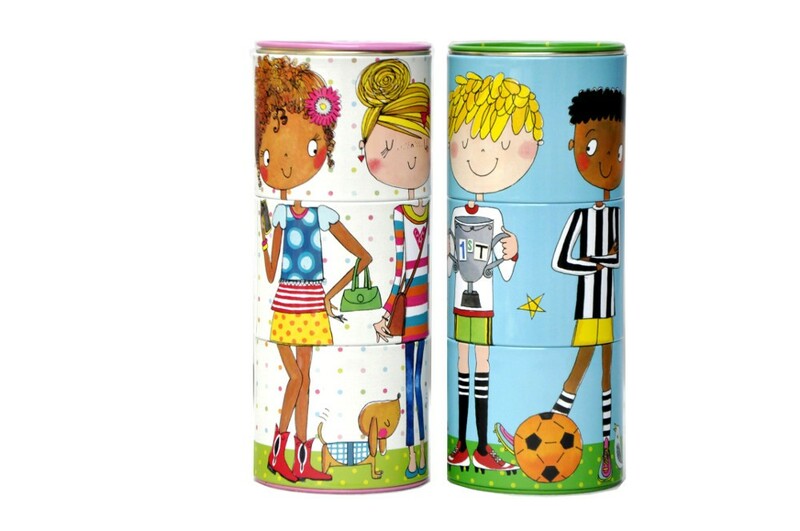 Each tin has 4 different characters. Choose from Fun & Fashion for girls or Football Fund for boys. By Rachel Ellen designs UK.